My camp story began my first year of University. Young and full of adventure I was on the hunt for an amazing summer job. Growing up in a small town in Saskatchewan, Canada, summer camp wasn’t something I had experienced as a kid. Instead my summers were spent camping with my amazing family. I knew that I wanted to do something exciting and fun and that my educational goal was to work with kids. So to the internet I went and one of the first jobs that caught my eye was camp counselor. I perused some camp websites, and I’m not sure exactly what it was about Southwoods that caught my eye but for some reason I had to apply. The thought of working in the mountains in New York sounded too good to be true, and every person portrayed on the website looked like they were having the most incredible time! I applied, and a few days later had a phone interview. Just listening to the enthusiasm of the voice on the other end of the phone, I knew that this was the place I wanted to spend my summer. A little over 3,000 km from home and the minute I stepped onto camp I knew that this place was special. You get to camp and you are surrounded by like-minded people with a passion for life and contagious energy. I still, 14 years later talk to some of those people who I started my Southwoods adventure with. The day I left camp I knew that I had to come back, I was unable to return the following two summers, but then my little brother and best friend just finished his first year of university. It didn’t take much to convince Austin that Southwoods was a great place to spend the summer. I was so excited that he was going to get to experience camp! I was also really excited that we were going to come together. It might have been my favourite summer of my 4 years at Southwoods. I knew what to expect this time around plus I got to share and experience it with my brother and a good friend of ours. I’m not sure if people got sick of camp stories or listening to us talk about the amazing people we met while at camp, but the following year we convinced (fairly easily mind you) 7 more of our friends to travel 3,000 km away from home for the summer to experience Southwoods! The Saskatchewan invasion was on and I was sooo excited that they all got to come and experience camp! It is amazing to think back on all the memories! Being able to impact a camper’s life and see them grow, how camp brings out the best in you and your day is spent playing and laughing and making new friendships. Southwoods helped make me the person I am today and I wouldn’t trade those summers for anything! Southwoods is truly a special place! No words that I write on this page can describe the experience of Southwoods. You have to experience it yourself! Well, another truly amazing summer has come and gone! As we hear about our campers embarking on another year at school, the Southwoods Team is settling into the Westchester winter office. 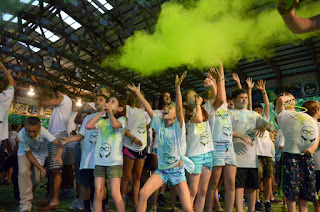 Although the fun-filled days of summer camp are over until next June, we are busy planning for the Annual Southwoods Reunion (mark your calendars for Saturday, November 22nd!) and Winter Weekend (Friday, January 23rd – Sunday, January 25th). Details for both events will be coming in the following weeks! Who says the camp fun has to stop in the off-season?! In October of 2000, we made a decision which became the single most significant choice and investment in our three boys' lives. Here in California, we did not know families who were sending their kids to sleep away camp in 3rd grade, let alone for a month, let alone across the country. People we knew sent kids to camps for a couple of weeks and usually, not very far from home. Both my husband, who is from the midwest and I, from the east, went to sleep away camps growing up. While we were not interested in a full summer program, we wanted somewhere for our sons where there was a formal start and stop date (all the kids arrive at the same time and leave similarly). While that was a starting point for exploration, what we got at Southwoods was so much more. We have never met another camp owner who is like Scott or Andrea Ralls and who cares so much about the camper and experience. (It's actually difficult for me to decide where to start.) The camp offers one of the most fun, diverse, safe, adventurous, respectful, and healthy growing programs. Each area excels, whether it's the waterfront, sports, arts, adventures, camp activities or tribal war. Our boys went there from the time they brought walkmans to the risk of electronics infringing on the summer. Kids learn to disconnect and participate with each other, embrace challenges and celebrate successes. From the youngest campers to the LIT (Leaders in Training), Scott and Andrea have their eyes, ears and staffs' attention to each child having an amazing summer. If they ran a private school, my kids would have been there! Over the years, Scott, Andrea and the staff helped our kids with a variety of issues from fear of the lake, concerns with sleeping in a tent outside to having the confidence to become a leader. Some of their most memorable achievements came at camp from learning new skills, becoming a tribal chieftain to training as a video intern. While our oldest went to sleep away before FB, to this day, he relishes bumping into someone from Southwoods. As a 22 year old with an internship this summer in NY, he was walking down the street when he ran into a kid from camp. They stopped in a bar and had drinks to laugh about those days. A friend of his from college was roommates with a kid from Southwoods and these are great kids with great friends. Our youngest (17 and applying to colleges), also went for 6 years through the LIT program and keeps in touch with kids on FB and visits with them when traveling. They are all in touch around the world from LA to Paris with friends across the continent. A group of them we there to support a friend whose family went through a very rough time and I think for him, having these camp friends helped him to feel like there was a cocoon of safety around him. As a parent, you want to know your kids are having fun and that they are safe at camp. The "what ifs..." need to be covered. We have had respiratory viruses become an asthma attack and we have had bug bites become infected. Regardless, the health staff have gotten the kids back on track and back in the action as soon as it was safe. It takes a lot of trust to send a kid to sleep away camp across the country and so imagine the trust we had in Scott and Andrea when in the summer after 9/11, we sent our two boys to camp in New York. Another year was the summer that the flu was wiping out camp attendance and experiences for kids across the country. Scott and Andrea had protocols in place that prevented an outbreak from happening at Southwoods while our friends' kids were at camps where quarantines were more active than canteens! Not the case at Southwoods. Not on Scott's watch! Southwoods does not make communicating with parents a profit center like many camps. Pictures and videos populate the website daily, and parents have coded access to download and share images. Plus, there's no charge to send daily emails to you kid (which they print out) if you want to augment the cards you send. Communicating directly with Scott, Andrea and camp leadership is easy and they are responsive to concerns (but don't be a drone parent, you can trust them!). Scott never rests on his laurels and continues to invest, improve and update Southwood's facilities and infrastructure. The food is amazing, healthy and bountiful in choices that have met the pickiest of eaters' preferences. 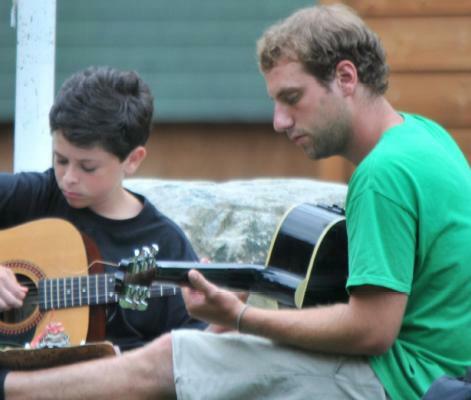 The rules and structure that the Ralls have in place for campers and staff reflect their lifelong commitment to summer camp and creating awesome experiences. 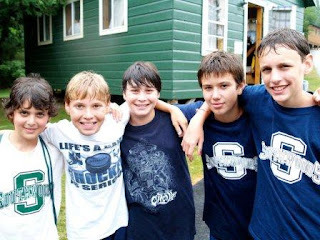 Each of our three boys attended for 6 summers and tried things they never would have tried, grew in ways that showed sportsmanship, respect and trust and had the best summers of their lives at Southwoods. I guess we would recommend it! on behalf of the Wasserman family. 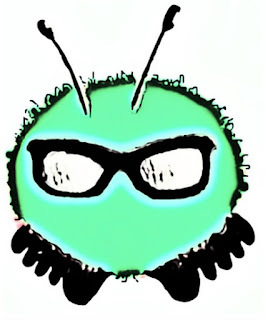 Mason Levitsky deserves a Fuzzy...He is an amazing cousin...from Sarah W.
Maxine Moses deserves a Fuzzy...She can always make me laugh and she is the best friend ever...from Lily L.
THAT'S THE WAY...THE SOUTHWOODS WAY! My Southwoods story began in July 2007. I had decided I wanted to go to America to live and work but had no idea how I was going to do it. Then a friend told me about working at summer camp and I thought it would be perfect for me. Before then my only experience of summer camp was as a kid watching movies like 'The Parent Trap', 'Camp Nowhere' and one of those made-for-TV movies starring the Olsen twins. I had no idea that working at summer camp was even an option. But as soon as she said it, I had pretty much made up my mind. The next few months were spent researching camps and exchange companies that could sponsor me to go. Filling out hours and hours of application forms, program agreements and personal information, was a major chore for someone like me, (I was never good at doing homework). In November, just a few days after I finished all my paperwork, I got an email from Southwoods wanting to set up a phone interview. The conversation went well and ended with "we'll be in touch". I honestly didn't expect to hear back after that, I thought "there's no way I'll get a job from the first camp I spoke to". 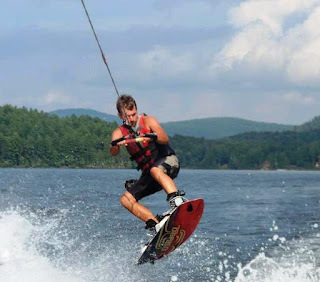 I later received an email from my exchange company reading "We are excited to inform you that you have been offered the position of Water Ski Instructor at Southwoods Summer Camp". I never spoke to another camp. Before going to camp, I had never traveled on my own. My only trip out of Australia was on a family vacation to Thailand. I was introverted and shy, and although I was incredibly excited for the adventure I was about to have, I was also scared to death. Flying into New York City was daunting to say the least and taking the subway in the wrong direction did not help me feel better. But when I finally got to my hostel, met some of the awesome people I would be working with, and we all made our way into the beautiful Adirondack mountains, my worries seemed to fade away. I will never forget arriving at camp my first summer. My first walk up the bunk line, comparing camp to the videos I'd seen and thinking it was the coolest place I had ever seen. My first look at the waterfront and how excited I was to say that it was my office for the next 3 months (and little did I know, for the next 5 summers). I remember a lot of firsts at camp: my first time getting in the lake, my first evening line up, my first sloppy joe (still my favorite). Having the life scared out of me by the deep, booming voices of the male Group Leader's chanting my first "give it to me one time". All of those little camp things that once seemed so strange and foreign to me and now feel like home. And then we come to the people. 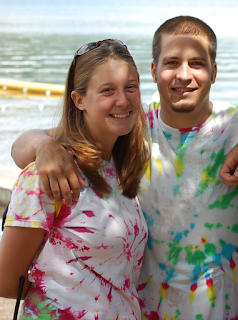 Whether it is campers or staff, it’s the people at Southwoods that make it feel like home. My first summer at camp I was with the Upper Inter Boys and I got to see them grow into Chieftains and even a few into LIT's. This summer I get to see some of my boys come back as staff. I can't wait to see them in action. I have made countless friends I keep in close contact with. I visit a lot of them whenever I can. I am even lucky enough to say that I met my best friend in the world at Southwoods. 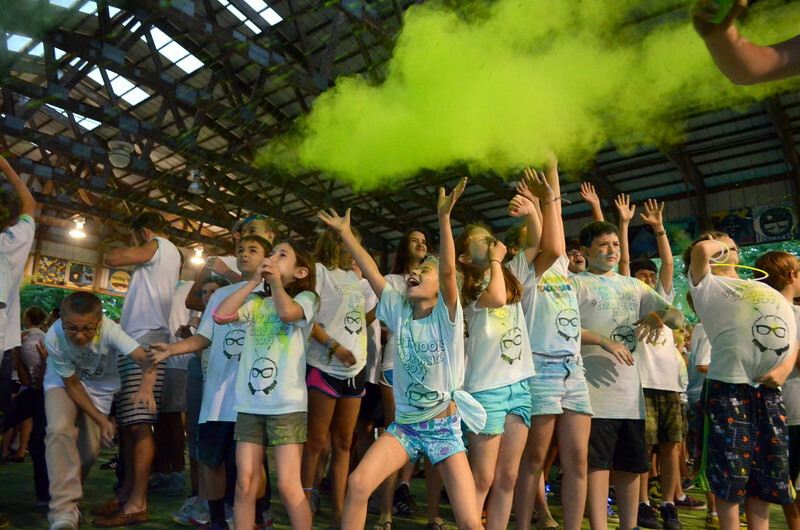 But even as I write about all of these amazing things that make Southwoods, Southwoods, I can't deny the one aspect of camp that brings me back each year. For some it is the people, for some it is the lifestyle, and for some it is just those memories of hanging out with friends and doing something fun or silly. But for me, it is and has always been, the moments of pride that working at Southwoods has given me. These moments come in many different forms: finishing the waterfront set up at the start of the summer and looking out over a job well done, the look on a nervous camper's face after trying to water ski for the first time and succeeding, and helping a new child make a friend or making jokes to help them feel a little less nervous. My proudest moment of all was the night I joined a group of amazing people who own a simple, grey T-shirt with two simple words. I felt genuinely honored to receive "The Way" shirt and I still remember the blur of shock I felt after Scott read my name. At the risk of sounding corny, it really was the proudest moment of my life. For anyone coming to camp for the first time, if you get to experience even half of the amazing things Southwoods has given me, I promise you will have the best time of your life. See you this summer. In the evenings at line up, to recognize someone’s outstanding effort, a call and response cheer goes up. Someone begins by proclaiming “that’s the way...” and everyone loudly responds, “THE SOUTHWOODS WAY!” I’ll admit that during the nine months each year that I’m away from Southwoods, it’s disappointing to hear the phrase “that’s the way” without the spirited reply! My Southwoods story begins before Southwoods began. What?! Scott and I had crossed paths while working for another organization many years ago. 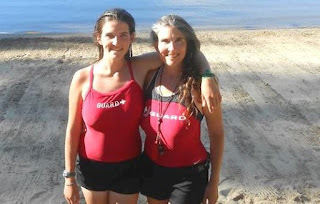 When he and Andrea were preparing to open Southwoods, Scott invited me to train and certify the lifeguard team (and also the TREK staff in first aid/CPR). Little did I know the effect of answering, “yes” to lifeguard training week in 1998. I’ve been part of every training week since, and this year makes eighteen! Additionally, after my first eleven years of training lifeguards, I also began residing at Southwoods through the summers as the Waterfront Director. During my Southwoods tenure, many adventures have unfolded, and many people have grown! 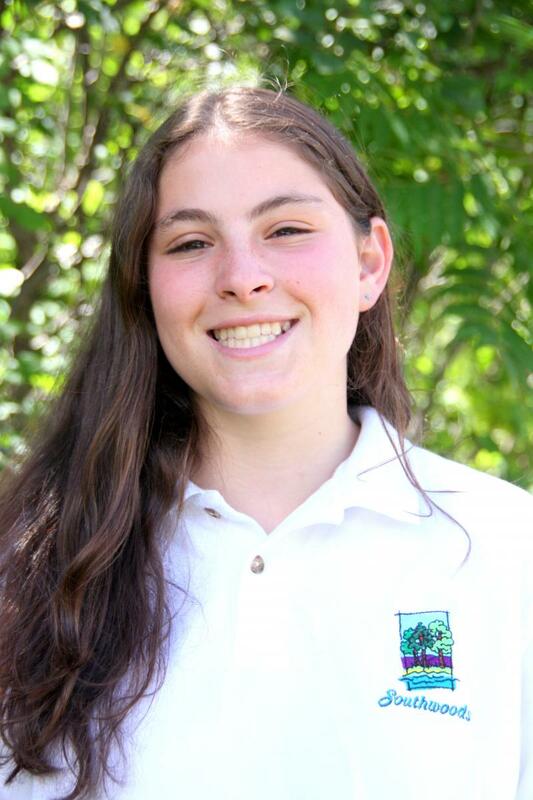 My daughter has attended Southwoods as a camper, and now she has been on staff for several years. I’ve also had the pleasure of seeing campers become Leaders in Training (LITs), LITs become staff members, and staff members become parents, now sending their children to Southwoods as campers. It seems to me the experience of giving and receiving at camp is something incredibly special. It has had a profound effect on my family. Camp life interweaves into the basic fabric of each thought and personal encounter. What do I do while at Southwoods? My day begins with an early morning gathering of head staff - a group of talented individuals committed to Southwoods, and dedicated to making each day special. After breakfast I descend the hill to the beautiful and pristine Southwoods waterfront at Paradox Lake. For me it’s the perfect place to spend each summer day. While there I engage with campers and staff. We play, provide professional instruction, practice safety procedures, and encourage each other. I cannot fully explain the joy of working with the waterfront team – these people are creative, helpful, and adore helping campers at the lake. L - Learning. Line-Up. Living to the fullest. As an educator, I’m passionate about learning and leading others to a place of experiential evolution – and it’s plentiful at Southwoods. I relish watching comprehension grow as “The Southwoods Way” unfolds for each member of our community. “The Way” is an active form of engaging with each other by reinforcing positive human values. Living in a way that challenges limits, expands skills, and includes thoughtfulness towards others results in marvelous experiences. O - Opportunity. Optimism. Southwoods is abundant in opportunities, for me, and for everyone. I enjoy daily challenges, and chances to support campers and staff as we move from “wake up” to “lights out”. The waterfront is a special place, and assisting campers to increase skills in swimming, sailing, kayaking, canoeing, skiing and boarding leaves a smile on my face each day. The waterfront staff is incredible, and the team works tirelessly to assist campers in accomplishing their goals. I’m proud to be a part of this crew. V - Voice. Vivaciousness. Vitality. Every camper has a voice in the community. Each staff member makes a difference. I have lost count of the number of times a camper has encouraged another friend to accomplish something wonderful. Staff members returning each year grow to new levels of leadership and exuberance. Things move organically to the next level, and good vibrations flourish throughout the summer. At summer’s close, we ride the wave of Southwoods memories until next season. E - Energy. Extraordinary. Enthusiasm. Campers and staff bring an enthusiasm for life. “E” might be my favorite, and not just because it starts my name! It’s because synergy at Southwoods leads us to greater heights, deeper friendships, and larger fun. Southwoods is a place where daily excellence is encouraged, supported and lived. I return to Southwoods year after year because the mission statement is alive and well. It states, “Southwoods is committed to empowering people. Our goal is to build confidence and self-esteem by reinforcing positive human values. We achieve this goal through cutting-edge programming implemented by a carefully selected and fully trained staff whose investment in children, like our own, is unparalleled." In my opinion, empowering people results in time well spent. At Southwoods, programming is truly cutting edge – never stale – and always fun. Being “invested in children” ….. a perfect way to learn and grow. Southwoods has changed countless lives. Campers and staff leave each season stronger and more confident. “Unparalleled” is the word that jumps out to me, each time I read the mission statement, because it’s true. Scott and Andrea invest in children’s lives with full heart, wisdom and a lot of experience. At Southwoods, the investment is in children – and it is unparalleled. Summer number eighteen – here I come! My Southwoods story is one in which there is so much to say I believe I could write a novel and still not fully capture it. I remember watching endless camp videos as a 10 year old trying to decide where I wanted to go to sleep away camp. I was making the leap from day camp to sleep away camp, which seemed like the most important decision of my life. Who knew that, as a 4th grader, choosing which camp I wanted to go to would make such a major impact on my life 13 years later. Southwoods was instantly a top contender. Once the pool of options had been narrowed down to just a few we set up a house call from Scott. I have a very distinct memory of him coming into my kitchen and using words like dandy and delicious in only the way he can. He explained everything we needed to know about Southwoods and even brought me a fuzzy. I was hooked. Summer couldn’t come fast enough. The next five summers were some of the most amazing summers I had ever had. I was able to make new friends, learn new things, conquer new challenges, and learn how to be a leader. 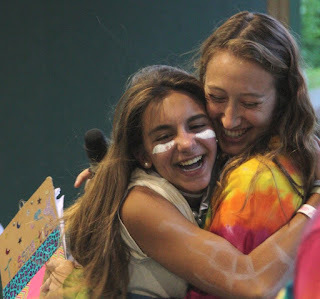 Being able to give and receive fuzzies, complete team trek activities, and participate in tribal showed me how to be a good friend and teammate. Having the opportunity to be a chieftain taught me a lot about myself and I still use those skills today. I always knew that Southwoods was a very special place to me and would always be considered my home away from home. Leaving camp as an Upper Senior and seeing that Southwoods sign fade out the back window of our car was a very sad day. However I think I always knew I’d be back as a staff when I was old enough. One of the greatest things about transitioning from a camper to a staff member is being able to help give the new campers some of the same wonderful camp memories that I myself will never forget. Participating in making their summers unforgettable is such a fun and rewarding experience. Working at Southwoods has turned me into a better person and I am so grateful for that. The environment that Scott and Andrea have created is one in which you can truly be your best self. I believe that getting to spend a summer in an environment such as this teaches you a lot about yourself. It’s one reason I can’t wait to go back each and every summer. Being a staff member I get the opportunity to facilitate these campers in being themselves and learning who they are and who they want to become. As I'm about to start my fifth summer as a staff member at Southwoods, I am ready to accept the new challenges and adventures of the super senior trip. I have worn many hats at Southwoods in the shape of cabin specialist, gymnastics specialist, group leader, as well as friend, and role model. I'm excited to return to camp for my tenth summer! Southwoods holds a very special place in my heart as I have made lifelong friends there. Southwoods will always be a part of my life and I am thankful to be part of the Southwoods family. My first memory of Southwoods was parents day 2004 when my family trekked up to the Adironacks to pick up my brother who was a Lower Inter Boy that summer. I remember receiving letters from him all summer long saying how much fun he was having and I couldn’t wait to see the camp and all it had to offer. We got to camp and I remember all he wanted to do was show us the archery area. My family ended up staying in the archery area for two hours because I was the one who didn’t want to leave. As we left camp that day I knew I wanted to become a Southwoods camper. In 2005 I started as an Upper Junior Girl and I never realized how my time at camp would affect me in life. As an Upper Senior I lead my Mohawk tribe to victory and I remember that was the first time I had ever been truly responsible for something in my life. I was placed on spirit committee because everyone said, “oh, Rachel is loud.” But no one truly understands that being a chieftain is the most important thing to the Upper Seniors until they actually are one. Being a chieftain not only gave me responsibility but also independence and confidence that I never knew I had. After being a Super Senior I realized this was my last time being at Southwoods. I walked down the bunk line on parents day sobbing because I truly thought that was going to be my last time at camp. Then Scott mentioned to my age group an idea of a Leaders in Training (LIT) program. I never thought it would actually happen until I got the greatest email that September. I decided why not sign up and be a camper one more summer! It wasn’t until I got to camp that I realized how much of a growing experience that summer would be. Southwoods always gave me a source of independence and responsibility, but it wasn’t until I became an LIT that I fully got the leadership experience I wanted. When we arrived the campers were so excited, and the counselors were looking forward to having another helping hand. I jumped right into a Lower Inter Girl cabin with 12 girls. It was the best summer ever; I got to play like a kid again but I was still present as a big sister figure. We did a lot of leadership workshops and truly figured out what it means to be a leader. During intersession, we went to Disney and participated in the Youth Education Series (YES!) Program. I thought we were just going to goof around all day, but what I found was that we learned leadership skills and techniques that I still find myself using today. Being an LIT was probably the most empowering experience I could have had in high school, and then coming back as a counselor has been the most rewarding experience to date. Going back to camp each summer, I see old faces all excited to see me and new faces anxiously waiting to understand who this crazy counselor in a tutu and fanny packs is. As a counselor I truly found my inner kid. I found what it means to not only be a friend, a big sister, a pseudo-parent or a camp counselor, but what it means to be taking care of a parent’s most precious gift. I realized that being patient is all a kid needs and that a smile can go a long way. I never imagined becoming a counselor at Southwoods, let alone becoming a Group Leader this upcoming summer. I can honestly say I owe who I am today to Scott and Andrea, my counselors, my co-counselors and my campers. I don’t know where I would be today if it wasn’t for Southwoods, but I know there is no other place I’ve wanted to spend my last 10 summers and hopefully more to come. When trying to sum up my Southwoods story, it seems nearly impossible to keep it brief. I spent 7 years of my adult life at Southwoods and those were 7 of the most influential years of my existence. I have more meaningful memories of Southwoods than any other place on the planet, and no matter how far I go or how long I am away, it will always be my second home. I ventured to Southwoods when I was 19 years old. I was a bright eyed education major from Murray State, who loved kids and hoped to beef up her teaching resume. At the time I was majoring specifically in elementary education and I envisioned myself as a Lower Junior counselor. As we all got to know Scott and Andrea throughout our training, we knew that those interactions would help them to determine which age group that we would work with. Since I just knew that my personality screamed “little kid fun,” I never had any concern about landing in the Lower Junior group that I wanted. I was more than shocked when I was placed with Upper Inter Girls. I was placed well outside of my comfort zone, with TEENAGE girls! To say that I was nervous would be an understatement. In true Ralls fashion, they knew exactly what they were doing. During the summer of 2004, I worked with both Upper Inter Girls and Lower Junior Girls and I had the most amazing summer of my life. I was hooked; I was hooked on the camp experience, I was hooked on Southwoods, and I had found my calling working with teenagers. While at Southwoods, Scott and Andrea taught me so much about working with kids of all ages. I learned that when talking with children you should always get down on their level; see eye-to-eye. I learned that teenage issues may seem trivial to an adult but they mean the world to kids at that age; you should always take them seriously but teach them not to sweat the small stuff. Upper camp campers want to be seen as mature but they still want to have those amazing childhood experiences as well. That first summer taught me so much about myself and what I wanted out of my teaching career. It opened a door for a passion for working with teenagers and helping them grow in a positive direction. I returned to Murray State University that fall and quickly changed my major to middle school education. I went on to pursue my secondary certification and a masters degree in literacy. I now teach high school seniors at McCracken County High School in Paducah, Kentucky. I also went on to experience many other amazing summers at Southwoods. 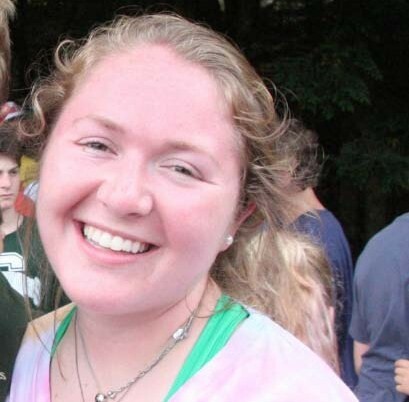 I worked as a Group Leader, Upper Camp Girls Head Counselor, and Office Manager during my run at camp. I was blessed to work in the winter office for 3 years and to call the Ralls family my friends. I was also blessed to have done all of this with my husband by my side. I met Shaun Rathgeber when we were placed on the same staff tribal team during our training in 2004. He was from Canada and I was from Kentucky. I can’t imagine that our paths would have ever crossed had it not been for Southwoods. We worked together through our years at camp and we learned how to be a team when working with kids. Those skills have proven invaluable throughout our marriage and our partnership as parents. We have 3 beautiful kiddos, Emmett who just turned 5 (and has spent 1 summer toddling around Southwoods), and our twins Jillian and Norah who will be 3 very soon. Southwoods will always hold a very special place in my heart. It is the place where I truly learned how to be a “grown up” while also learning the value of seeing the world through the eyes of a child. Southwoods helped to form my family and taught me how to be a parent. Because of Southwoods I try to always “find the fun” when working with my own kids and my teenagers in the classroom. 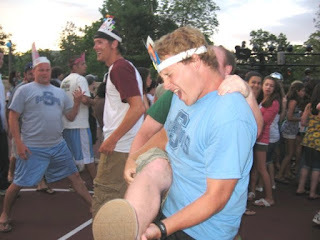 Actually, camp taught me to find the fun in life every day. Cabin clean up is always easier with music and dancing … so is housework. Climbing to the pines after swimming at the waterfront might not be the most loved adventure, but it is an adventure that is easier with laughter and a song. My English content isn’t every student’s cup of tea, but I know that I can make their experience in my classroom as fun as possible and I can create a safe environment where students can take risks during class discussions and activities. Southwoods made an investment in me as a person. Scott and Andrea, and the rest of the head staff, went out of their way to instill all of these skills within us from our very first day of training to our last day of camp each summer. I see those skills manifest within my life every day. I couldn’t have asked for a more amazing work experience and I can’t wait for my kids to return to camp as campers in the future. For the past six years, I’ve attended a summer camp in the Adirondacks called Southwoods. Thinking about the experiences that have shaped me, I believe that my time in camp has taught me several important lessons about life. From getting along with different people, to experimenting with new things. Over the years I’ve created friendships that will last a lifetime. Camp gave me the opportunity to spend time with friends that I’m the closest with, but rarely see because they live in different parts of the country, or even the world. A few of the kids came to camp from countries like China, Turkey, France, and England. Although, for some of the kids, there was a language barrier between us, we learned how to communicate and, over the course of the summer, I learned about many of their cultures and lifestyles. There was one girl in my camp named Jean who came from China, and barely spoke English, but after a few weeks, she started to speak and connect with the girls in her bunk. She told me that she’d never seen people with different colored skin than her, and that she went to a school where if a person attended who was not of her race, they would be treated differently than everyone else. She was surprised that everyone at camp was treated equally, and were so friendly. By speaking with Jean and spending time with her all summer, I learned more about different cultures and created a friendship that I didn’t imagine possible. Going to camp opened me up to activities and possibilities that I never thought to explore before. I’d never acted in a play before I went to camp, and didn’t think I would enjoy it. My first year at Southwoods, my counselor suggested I try out for the camp production, Shrek. I was afraid of auditioning because I’d never performed in front of an audience, but I pushed myself to do it, and was shocked when I was given the lead role as “Fiona.” Dedicating myself, memorizing lines, and attending countless rehearsals all paid off when I saw the entire audience clapping and applauding for me. In addition to friends and activities, camp also taught me life lessons that I will use in the real world. One day we went on a caving trip, and when I was in the enclosed space, in pure darkness and absolute silence, I learned how important it is to take risks. Sometimes you are challenged to step out of your comfort zone, whether you want to or not, and it’s always worth it. You get to try new things, and maybe you will actually enjoy them and continue to pursue them. I feel very fortunate that I’ve been able to attend summer camp because those experiences have impacted my life in so many ways. I built friendships I’ll know and love forever, experienced new possibilities, and learned life lessons I will use throughout my life.